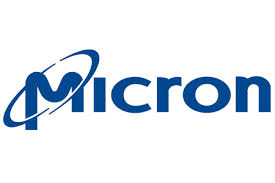 Micron Technology, Inc. (NASDAQ:MU) announced a stronger fiscal first-quarter performance with profits worth $1 billion, at 84 cents per share, as against the $354 million or 30 cents per share profits recorded for the same quarter of the previous year. Excluding losses and other items, earnings is at 97 cents per share, up from 77 cents the past year and beating analysts estimates of 92 cents per share. Micron CEO Mark Durcan was cited by The Wall Street Journal to attribute the stronger quarterly performance to favorable market conditions that provided an opportunity for the chipmaker to obtain record revenues as well as operating cash flows. Revenue was recorded at $4.57 billion for the first quarter ending December 4, up 13 percent from $4.04 billion for same period the prior year, yet missing expectations from Wall Street. According to Thomson Reuters I/B/E/S, analysts had an average estimates of $4.614 billion, or a revenue growth of 14 percent. Micron Technology, Inc. (NASDAQ:MU), on the other hand, had its own estimates at the range of $4.45 billion to $4.7 billion. Cash flows from operating activities also rose to $1.59 billion for the quarter, up from $1.51 billion a year earlier. Micron Technology, Inc. (NASDAQ:MU), known for manufacturing memory chips such as DRAM (Dynamic Random Access Memory), NAND, and NOR Flash, is contending with Intel Corporation (NASDAQ:INTC), QUALCOMM, Inc. (NASDAQ:QCOM) and Samsung for the chips market. According to Forbes, the technology research group Gartner estimates that the demand for chips have brought at least $340 billion last year, even as semiconductor sales recorded a growth of 7.9 percent. Currently ranked as the world’s fourth largest semiconductor company, Micron has posted the most growth for 2014. Shares of Micron Technology, Inc. (NASDAQ:MU), however, were down 2.34 percent on the NASDAQ at $32.10 on account of weaker projections for the current quarter, apart from missing analysts’ estimates for the latest quarter.